This Guilt-Free Keto Crockpot Chili Recipe is the perfect slow-cooker chili. It is a thick, spicy, no bean Texas chili with no corn flour. It’s perfect for Keto and Paleo dieters or anyone looking for a hearty, healthy meal with little effort. This chili is great for lazy afternoons. Sign up to my free newsletter for weekly tips and updates, PLUS get access to my Members-Only Kitchen Library with all my free seasoning blends, recipe cards, and shopping lists. We will protect your info. Unsubscribe at any time. 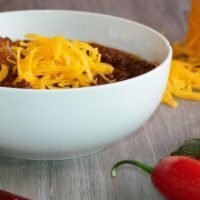 Even though there are quite a few ingredients in this keto crockpot chili, it’s super easy to make. Just measure, dump and wait. The hardest part is browning the ground beef. You’ll also need a good slow cooker. I’ve had several different brands in my life, and they all seem pretty equal. The main features to look for are size and a timer. I love my slow-cooker with a timer, that can turn itself off after a certain amount of hours. A timer is great for cooking food while you’re at work. Also, make sure to get one big enough for your needs. It is definitely worth the extra money to have a crockpot that can cook a huge pot of chili. 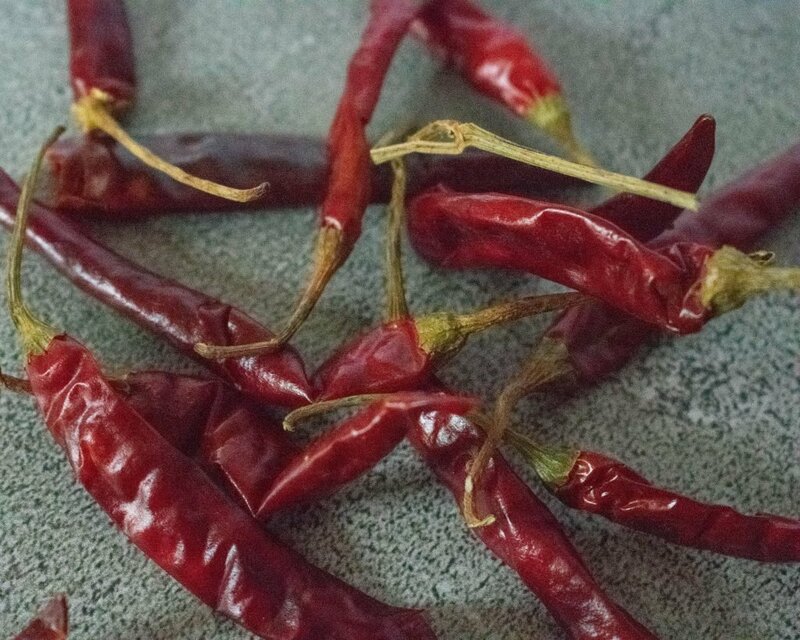 These dried peppers are not very spicy, but they add a sweet, smoky, flavor. I cut mine up into small pieces with my kitchen scissors before adding them. They will get soft while cooking in the crockpot. 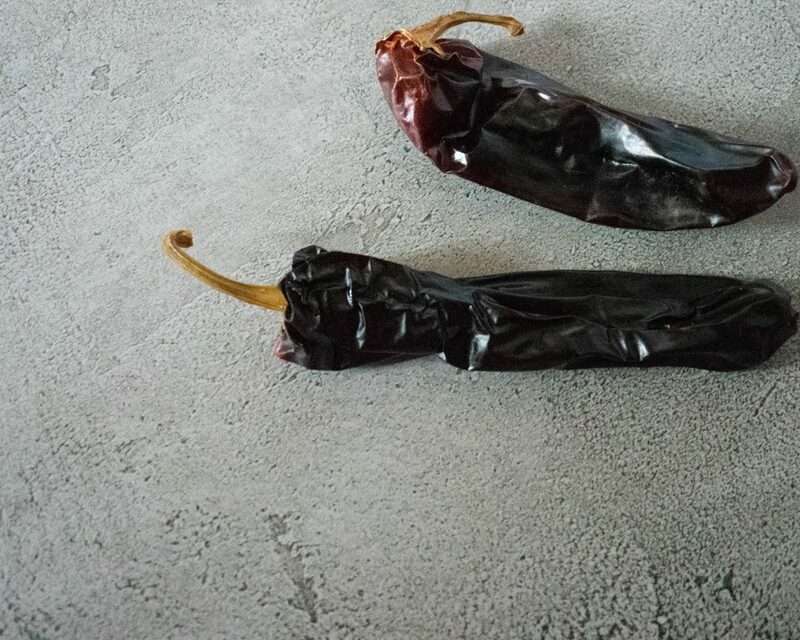 These dried peppers bring the heat. 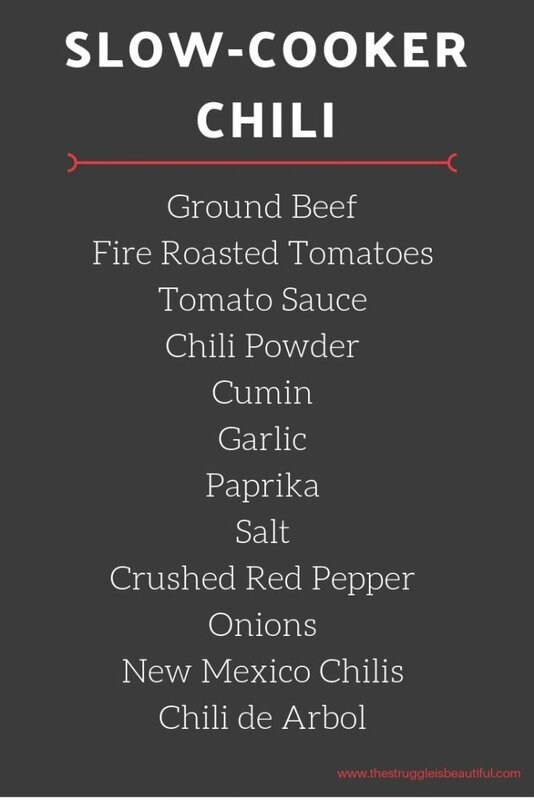 Add as many or as few as you want for spice in your chili. I like to add several to really crank up the flavor. Any peppers will be great for add-ins and extra spice. 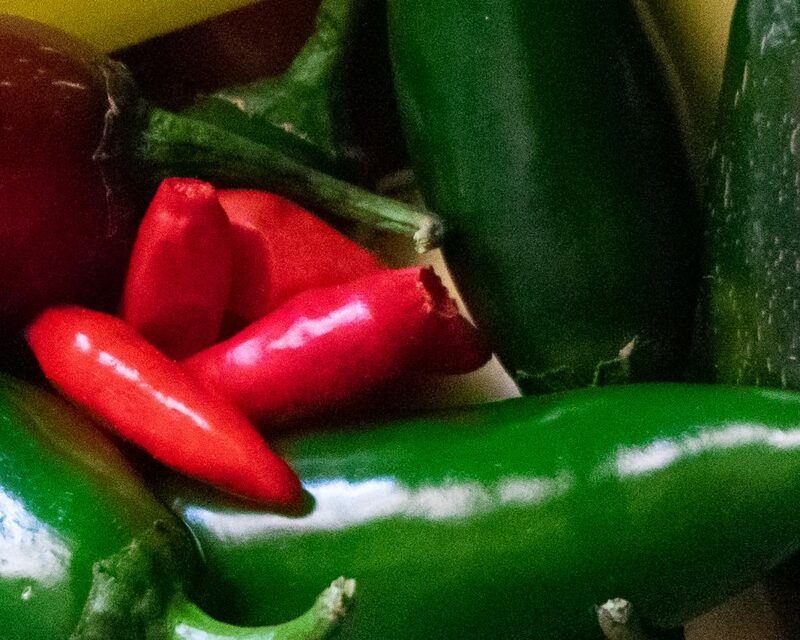 Jalapenos are usually very common, and tabasco peppers pack the heat for their small size. I found these at our local farmers market. They are definitely optional. Leave them out if you don’t want your chili extra spicy. This recipe is crazy easy. The hardest part is measuring the ingredients. Once you dump them, stir occasionally and wait. The chili will turn out great in 6 hours. You may need to add more water as the chili cooks up, just leave an eye on it just in case. 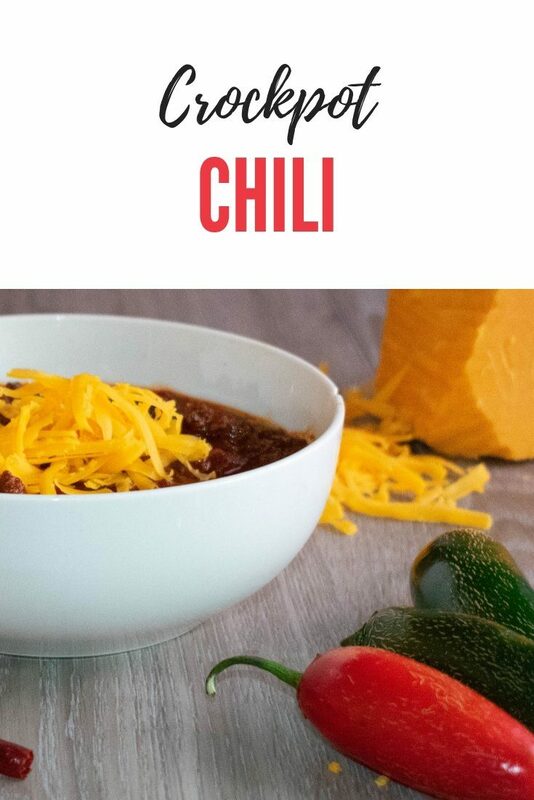 I love to serve this chili with plenty of cheddar cheese, and even these delicious crackers made with cheese. You keep your carb-count down, but still get a “cruchy” cracker alternative. This guilt-free keto crockpot chili is delicious and effortless. Just dump the ingredients and let this low-carb, paleo dinner simmer in the slow cooker. Chop to onions and all the peppers, even the dried ones. Dump all the ingredients in the crock-pot, with an additional 16 ounces of water. Cook on high for six hours stirring occasionally and adding water as needed. *Remember to double-check your macros. Different nutrition calculators and different brands vary. I hope you love this recipe as much as I do. Please check out some of my other recipes here. I’d love to see what add-ins you come up with for this chili, and I’m always on the lookout for new peppers. Please comment below and share the different variations that you try. Remember to sign up for my emails to gain access to our Members Only Recipe Library.